You need vitamins like your life depends on it. Because it does. Vitamins—not the pills or gummies, but the actual molecules—are essential for human life. Your body needs vitamins to maintain your health. And there’s so many, you need a vitamins guide, too. You’ve come to the right place. You’ll find the basics about these essential micronutrients. Learn what vitamins are. Look back at how science discovered them. And understand how they work in your body. Then you’ll find a list of all the essential vitamins. Use the links in the table of contents to jump to different vitamins and explore all the vital substances that keep your body going. The simplest definition for a vitamin is “a substance that helps your body work properly.” They’re vital for your health. That’s where the “vita” in vitamin actually came from. But that’s probably too basic. Minerals are essential for life. They help your body work properly, too. So, what sets a vitamin apart? Vitamins are organic substances that act as coenzymes (non-protein parts of enzymes) and are important components of cellular chemical reactions. But they don’t provide energy the way carbohydrates do. And they aren’t building blocks like amino acids or fats. Vitamins are all about getting a reaction. Remember, your cells are basically bags of chemical reactions. All the reactions require materials and machinery. Your cellular structures provide the machinery. Vitamins constitute an important part of the materials. They help enzymes spark a reaction—that’s what a coenzyme does. Since they’re so important, you’d think humans would have a long history of understanding vitamins. Nope. For thousands of years, people had no idea what vitamins were. Sailors figured out a little citrus would stave off scurvy. But they didn’t know why. Eventually, researchers figured out that the absence of some substances had dire consequences for health. These substances were eventually isolated and identified. The mechanics of their cellular impact were mapped out. When a new vitamin was discovered, it was assigned a letter. (The letters started at “A,” skipped a few—“F” to “J”—and eventually ended at “K.”) And today there are daily values to help you avoid deficiency, and information about optimal levels for health. Now, science has shined a light on these essential substances, and showed how each play a different role in the body. Now you have the information you need to plot a course for your best health through diet and supplementation. Explore the essential vitamins and see why and how you they’re an essential part of your diet. Vitamins are split into two major groups—water soluble and fat soluble. The difference is in the absorption and storage. Water soluble vitamins (C and the B vitamins) are easily taken into the body with a little help from water. Those substances are not stored long-term, and are tightly regulated by the kidneys. Fat soluble vitamins (A, D, E, and K) require fat for absorption into your body. Once they’re inside, these four vitamins are used or stored for later in—you guessed it—fat. They’re also packed away in the liver. Knowing whether a vitamin is water or fat soluble is valuable information. The way a specific vitamin is absorbed and stored helps you understand how to optimize your intake. That might mean taking a different approach to meal planning or timing your supplementation to maximize their absorption. What is it? Fat soluble forms of retinol, retinal, and retinoic acid. What does it do for you? Antioxidant protection against free-radicals, support for cellular differentiation—cells growing into specialized roles in your body—eye health, skin health, reproduction, and the health of tissues throughout your body. Where can I find it? Vitamin A’s retinol forms are found in eggs, shrimp, and dairy products. Vitamin A isn’t a single molecule, but a complex collection of health-promoting molecules. Let’s start with the easy part: the variety of health benefits that have been linked to vitamin A. The A doesn’t stand for antioxidant, but maybe it should. The molecules under this category act as powerful protection against free radicals. That’s only one reason vitamin A is important for your total-body cellular health. Dietary vitamin A is converted into forms that aid in cell growth, differentiation, and communication. Cellular growth and communication are pretty self-explanatory, but you may not be familiar with differentiation. This important process helps cells in your body specialize to take on the many unique tasks your body performs. Vitamin A also has been shown to support healthy tissues, skin, immune function, and reproduction. But one of the most important things this vitamin does is protect your vision. Vitamin A is a building block of an important light-absorbing protein (rhodopsin) in your eyes’ retina receptors. Your diet provides two types of vitamin A: preformed and provitamin A. The best way to keep them straight is that preformed vitamin A’s must be converted into active forms like retinol. Carotenoids (plant pigments) fall into the category of provitamin A nutrients. Beta-carotene is the most common example. It’s basically two vitamin A molecules stuck together. So, it’s easily and efficiently converted to retinol. No matter the type of preformed vitamin A they all provide your body with retinol after conversion in your intestines. Whatever form your vitamin A takes initially, it’s an essential fat-soluble vitamin critical for eye health, healthy organs and tissues, immune function, your skin, and a healthy pregnancy. What is it? Water-soluble B vitamin that acts as a coenzyme essential for turning your diet into cellular energy. What does it do for me? It helps metabolize components of your diet, making it available as energy for your body. It also supports cell division, and systems throughout your body—including skin and brain. Where can I find it? 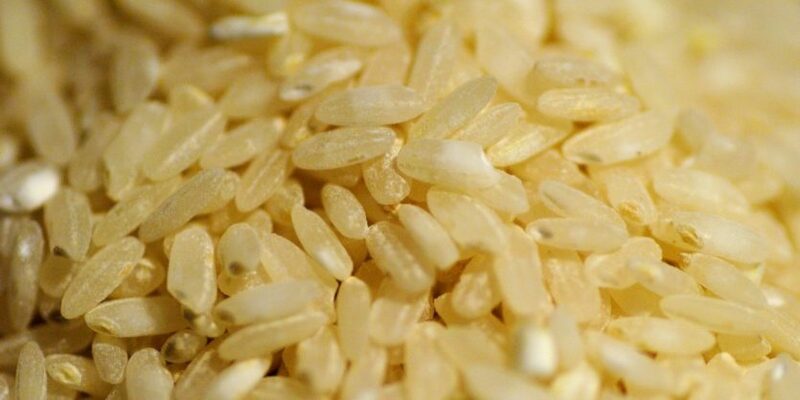 Eating brown rice, pork, and squash can provide thiamin. Without vitamin B1, eating would be little more than chewing and tasting. Thiamin—another name for B1—helps convert what you eat into energy your body can use. This role in energy metabolism comes from its ability to act as a coenzyme. Different configurations of thiamin and phosphate are made in the intestine to facilitate vitamin B1’s role in metabolism. Thiamin diphosphate (two phosphate molecules connected to free thiamin molecules) is the most important form. The forms of thiamin help other enzymes start chemical reactions that break down carbohydrates, proteins, and lipids. The process turns starches, sugars, amino acids, and fats into usable energy for the cells of your body. Thiamin isn’t just involved in energy metabolism. It’s impact on cellular sugar production makes it essential for the synthesis of DNA and RNA. Vitamin B1 also helps build fatty acids and supports healthy cellular function. This important vitamin is stored in the liver, but not for long. So, you need to constantly replenish your stockpile through a healthy diet or smart supplementation. Those with a limited diet or pregnant women are at risk for B1 deficiency. Don’t be afraid of eating too much, even very high oral doses of vitamin B1 haven’t been found to cause adverse effects. Only a role in minor GI distress has been reported. What is it? Water-soluble B vitamin involved in complex chemical reactions for energy production and other metabolic processes. What does it do for me? Vitamin B2 acts as a part of coenzymes aiding in reactions that turn what you eat into energy your body can use. Where can I find it? Dairy products, spinach, almonds, and broccoli are good sources of vitamin B2. Vitamin B2 (also known as Riboflavin) is all about energy. And it does its job as a coenzyme that catalyzes redox—short for reduction/oxidation—reactions. They move electrons between different molecules during a chemical reaction. All redox reactions require a molecule with extra electrons. You may be familiar with the redox reactions that happen between antioxidants and free radicals. The same mechanics of electron transfer are at work here, for a different purpose—energy. Riboflavin is part of two energy-catalyzing coenzymes: flavin adenine dinucleotide (FAD) and flavin mononucleotide (FMN). Memorizing the names aren’t as important as knowing the coenzymes’ ability to donate an electron in reactions help your body produce energy from your diet. As your body breaks down food, it breaks the chemical bonds. One result of breaking these bonds is the release of electrons. One of riboflavin’s jobs is to capture these electrons and help squeeze every last bit of energy out of it so your body can put it to work. Vitamin B2 doesn’t just aid in the metabolism of glucose, amino acids, and fatty acids. Riboflavin also helps your body metabolize drugs and steroids, and helps convert tryptophan to niacin. Riboflavin deficiency shows up alongside deficiencies in other B vitamins, particularly niacin and pyridoxine. Athletes, alcoholics, and pregnant women are at higher risk for deficiency. But riboflavin is widely available in the diet, with no oral toxicity reported. What is it? A water-soluble B vitamin involved in energy production from dietary intake. What does it do for me? Supports the transformation of food into useful energy. Niacin also supports a healthy nervous system, brain, digestive system, and skin. Where can I find it? Many foods contain niacin, but chicken, leafy green vegetables, corn, wheat, and fish are good sources. Niacin, like many of its B-vitamin brethren, is essential for energy production. So, it helps turn the food in your gut into the energy your cells and body need to function. Vitamin B3 completes these important functions because it’s part of two coenzymes—nicotinamide adenine dinucleotide (NAD) and nicotinamide adenine dinucleotide phosphate (NADP). Don’t get hung up on the long, complicated names. Focus on their functions. NAD and NADP are very similar in function to the coenzymes in which riboflavin is involved. They spark the transfer of electrons in redox reactions, especially during the molecular breakdown of macronutrients. Do you see another common theme here? Electron transfers provide a lot of the energy your body uses. And B vitamins—including niacin—play important roles in these processes. If you don’t get enough niacin and niacinamide (a niacin derivative) you’re in danger of developing pellagra. But niacin is widely distributed in plant and animal foods, and vitamin B3 intake is essentially non-toxic below 50 mg a day. What is it? Water-soluble B vitamin essential for energy production from your diet. What does it do for me? It is part of a coenzyme (coenzyme A) that’s essential for sustaining life. 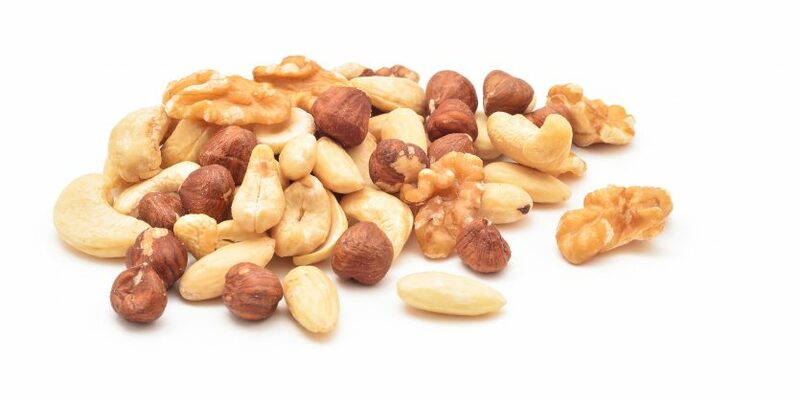 It plays a role in synthesizing fats, hormones, and components of your blood. Where can I find it? Organ meats, milk, avocados, seeds, and broccoli contain this important vitamin. You aren’t alone in needing pantothenic acid—also known as vitamin B5. It’s essential for all mammals. This water-soluble nutrient is synthesized by plants and bacteria. It’s the primary precursor to one of the most important coenzymes in your body—coenzyme A.
You’ll find the vast majority (95 percent) of your coenzyme A in cellular mitochondria (the cell’s power plant). Vitamin B5, as part of coenzyme A, is required to produce energy from dietary carbohydrates, fat, and protein. This role in energy metabolism is fairly complex—involving several chemical cycles. But it’s very similar to the way other B vitamins participate in energy production. If you’d like to dig deeper, take a look at how the Krebs cycle works. Coenzyme A also needs to be present for reactions that include synthesis of cholesterol, hormones, vitamin A, vitamin D, and melatonin (the sleep hormone). Vitamin B5 is also involved, through coenzyme A, in your liver’s breakdown of toxins. Pantothenic acid is pretty easy to find in nature, so deficiency is incredibly uncommon. And you don’t have to worry about oral toxicity. None has been reported in humans. What is it? A water-soluble B vitamin that aids over 100 enzymes in your body. What does it do for me? Plays a role in sleep (through different neurotransmitters), immune function, and cardiovascular health. Helps metabolize amino acids. Where can I find it? Beans, bananas, potatoes, meat, and nuts. Versatility is the keyword for vitamin B6. It’s involved in at least 100 reactions in your body, and it takes many forms. All of them help make coenzymes that assist in the metabolism of proteins and amino acids. These coenzymes help transfer amino acids, break them apart, strip them of carbon-containing groups of atoms, and more. Vitamin B6 needs riboflavin, niacin, and zinc for activation. So, you need a balance of B vitamins and zinc to go with the food and supplementary sources of vitamin B6. But chronically exceeding 100 mg per day has been associated with adverse effects, including neurological toxicity. What is it? A water-soluble B vitamin that contains sulfur and supports energy production. What does it do for me? Regulates gene expression, supports your hair and bones, facilitates cell signaling, and helps in a process that makes glucose out of non-carbohydrate materials. Where can I find it? In many foods, but especially fish, whole grains, yeast, liver, and avocado. Biotin (or vitamin B7) is part of a transformational magic trick of sorts. Glucose is a simple sugar your body uses as energy. It usually comes from carbohydrates. But biotin is part of enzyme reactions that make this important energy source out of fats and proteins. Vitamin B7 also aids in the regulation of which genes are expressed. That’s because it affects important proteins called transcription factors (proteins that help read the DNA code for the cell). Biotin’s entanglement with DNA doesn’t end there. It also modifies special proteins in the cell nucleus that help organize DNA. This packaging process also impacts gene regulation. Biotin works on a more visible scale, too. The vitamin supports healthy bones and hair. Deficiencies are rare. That’s because vitamin B7 can be synthesized by intestinal bacteria—although we don’t know how much you can actually absorb. Biotin is also found throughout a healthy diet, and has no reports of toxic reactions. High doses can interfere with certain lab tests. Make sure to tell your doctor if you are taking high doses of biotin before you have lab tests. What is it? A water-soluble B vitamin that is crucial to building DNA and RNA. What does it do for me? It regulates cellular metabolism and cell division. Coupled with its role in DNA and RNA, it supports healthy tissue growth and the regeneration of red blood and immune cells. It’s essential for fetal development, so it’s critical for pregnant women and those who may become pregnant to get enough folate. Where can I find it? Look for folate in legumes, enriched grains, asparagus, broccoli, and spinach. 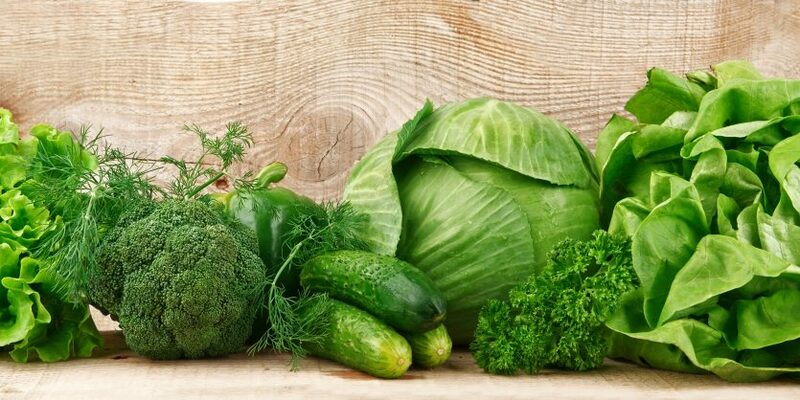 Folate’s importance during pregnancy makes sense when you consider its function in the body. Vitamin B9 is essential for building DNA and genetic material. It also plays an important role in cell division. Both of those processes are critical for the rapidly growing tissues of a fetus. Vitamin B9’s roles in DNA and cell division are also important throughout the human life cycle. So is folate’s connection to coenzymes that regulate cellular metabolism. Your red blood and immune cells need folate, too. If you don’t have enough vitamin B9, you may be putting your cardiovascular health at risk. Folate helps convert the amino acid homocysteine to methionine. High levels of homocysteine in the blood have been shown to adversely affect your cardiovascular system. Folate requirements increase during pregnancy. The Recommended Dietary Allowances (RDA) go from 400 mcg for a normal adult to 600 mcg for pregnant women. Deficiencies during pregnancy are associated with low birth weight and increased rate of neural tube defects. To avoid these issues, all women of childbearing age should supplement with 600 mcg of folate per day. What is it? A water-soluble B vitamin that acts as a coenzyme in the metabolism of folate and more. What does it do for me? It’s been found to support cardiovascular and neurological health, protect nerve cells, and plays a role in the synthesis of DNA and red blood cells. Where can I find it? Animal products contain B12 because it can only be made by bacteria in their gastrointestinal tracts. 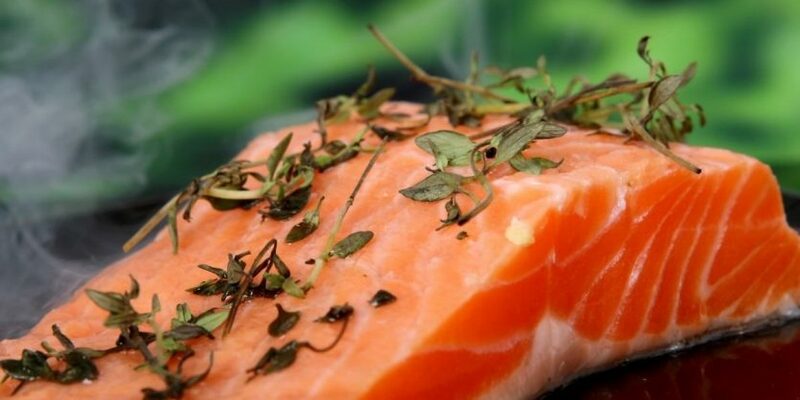 Seafood, beef, fish, and eggs are foods that contain vitamin B12. It’s a good thing you don’t have to diagram the chemistry of vitamin B12 to get all the benefits. B12 is the most chemically complex vitamin and the only one to contain cobalt—a metal that’s scarce in your body. Absorbing vitamin B12 isn’t simple, either. A two-stage process enables you to take in B12. Microorganisms make the B12 you get in your diet, which means they’re attached to proteins. First, your body breaks the B12 from the protein with which it came into the body. Then, it combines the vitamin with a different protein made in the stomach. But the two steps are worth it to make sure it gets absorbed. Vegetarians and vegans are susceptible to vitamin B12 deficiency because they don’t eat meat products—the main source of this B vitamin. They will likely need to turn to supplementation. There have been no observable adverse at any level of recorded use. What is it? A water-soluble vitamin that acts as an antioxidant, a coenzyme, and catalyzes many processes in the body. What does it do for me? Protects you against free-radical damage, supports healthy collagen production, which impacts your skin and connective tissues throughout the body. Vitamin C also has ties to immune function and cardiovascular health. Where can I find it? 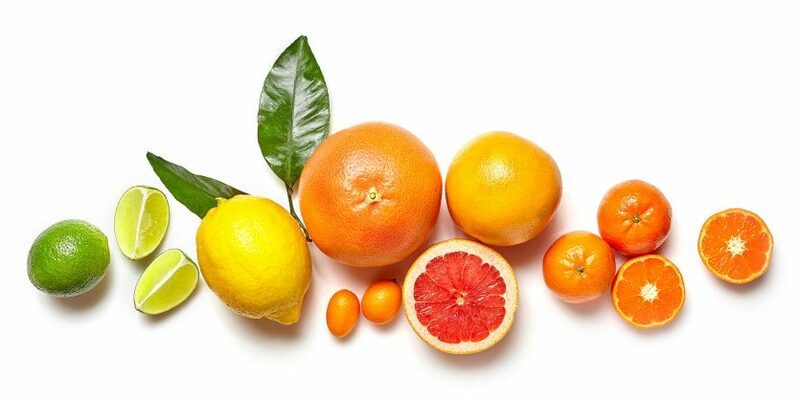 You probably already know about the vitamin C in citrus fruits. But you also acquire it from spinach, bell peppers, kiwi, Brussels sprouts, berries, tomatoes, and broccoli. Vitamin C may be one of the most well understood topics in human nutrition. And that’s a good thing. The essential vitamin works in the body as an antioxidant. It readily gives up electrons, neutralizing compounds that cause oxidative damage. So, it helps protect cells throughout your body and supports optimal health. The skin is one of the main benefactors of vitamin C. It helps stimulate skin-cell proliferation and supports collagen production in the skin. Collagen is a necessary connective tissue protein in skin and throughout the body. It’s involved in wound healing and helps reduces the appearance of wrinkles. There is also ample evidence to support the role of vitamin C in immune health. Vitamin C helps encourage the production of germ-fighting cells, like leukocytes (a type of white blood cell). Strong white blood cells help protect your body against potential invaders and maintain health. Leukocytes also accumulate vitamin C to protect themselves from the oxidants they use to destroy pathogens. The essential vitamin and antioxidant saves leukocytes from self-inflicted oxidation. Supplementing with vitamin C is a good way to fill in the gaps that can exist in the average diet. Vitamin C is generally non-toxic, but very high dosages (several grams or more) may cause or contribute to gastrointestinal distress. What is it? Often called the sunshine vitamin. It’s a fat-soluble vitamin that can also be created when skin is exposed to the sun. And while commonly referred to as a vitamin, it acts more like a hormone in your body. What does it do for me? Vitamin D supports bone health because of its role in calcium absorption and utilization. It also supports healthy immune function, mood, and cardiovascular health—through the maintenance of healthy blood pressure already in the normal range. Where can I find it? 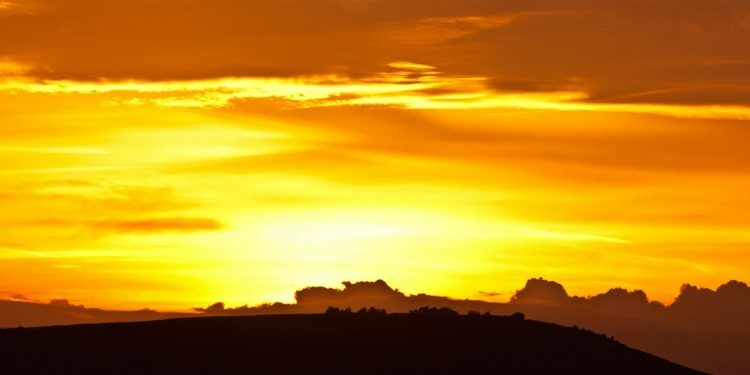 The sun helps you make vitamin D, but many people are still deficient. So, turn to fatty fish or fortified grains and dairy products. There are two major forms of vitamin D. Ergocalciferol and cholecalciferol are known as vitamins D2 and D3, respectively. Vitamin D2 is often man-made and used to fortify foods. Your body manufactures Vitamin D3 with the help of ultraviolet B (UVB) radiation. Just 15-30 minutes of sun exposure is enough to produce ample amounts of vitamin D. But how does that process work? UVB rays from the sun react with a preform of vitamin D called 7-dehydrocholesterol that exists in your skin’s epidermis. When these rays hit 7-dehydrocholesterol, it changes the molecular structure to become a pre-activated form of vitamin D called 25-hydroxyvitamin D. Once the conversion is complete, 25-hydroxyvitamin D enters the blood stream. The liver and kidneys then get involved to ensure the circulating vitamin D is further activated into its fully usable form. One of vitamin D’s main uses in your body is bone growth and bone-health maintenance. That’s based on vitamin D’s ability to help regulate the amount of calcium in your blood serum. This delicate calcium balance is controlled by the parathyroid glands. When low calcium serum levels are detected, the glands secrete a hormone that increases the amount of active vitamin D in the bloodstream. Increases the absorption of dietary calcium by the intestines. Promotes resorption of calcium filtered by the kidneys. Recruits calcium from the bone when dietary calcium levels are insufficient. Vitamin D also has been shown to support healthy immune function, mood, and the maintenance of healthy blood pressure already in the normal range. It’s true your body can make vitamin D with the sun’s help. But a lack of vitamin D—and all out deficiency—are common, especially the further you live from the equator. This has a lot to do with the angle of the sun—the lower the sun is in the sky, the more UVB the atmosphere filters out. That’s why vitamin D supplementation is an effective, and safe way to get the vitamin D you need. What is it? Any of the eight fat-soluble molecules that show antioxidant abilities. What does it do for me? Functions as a potent antioxidant. Vitamin E provides protection from oxidative damage and helps maintain cell membranes. It’s also involved in cell communication. Where can I find it? Plant oils, nuts, green vegetables, blackberries, and broccoli are some of the foods that contain vitamin E.
Most vitamins are helpers—acting as coenzymes that aid in chemical reactions. Vitamin E likes to work independently. And you can’t argue with the results this potent antioxidant achieves. Free radicals are created whenever your body converts food to energy. And that’s on top of what you get from your environment. These can cause damage if they aren’t dealt with. Antioxidants like vitamin E protect your cells by neutralizing these potential sources of oxidative damage. Since it’s fat soluble, vitamin E is especially effective in preventing fat oxidation wherever it occurs—the gut, blood stream, tissues, and cell membranes. Vitamin E also plays a role in immune function. It helps promote the junction of different immune cells and works in immune cell signaling—both support your immunity. The essential vitamin even supports cardiovascular health by maintaining healthy blood vessels. The Recommended Dietary Allowance (RDA) for adults ranges from 15-19 mg/day. But average dietary intake of vitamin E among adults is less than 10 mg per day. Reported therapeutic benefits of vitamin E intake generally require supplementation of 200-800 mg per day. That may seem like a lot, but vitamin E is relatively non-toxic when taken orally. In rare cases involving people deficient in vitamin K or participating in coumadin therapy, levels higher than 1,000 mg per day may potentially increase bleeding time. What is it? A fat-soluble vitamin that can bind calcium and impact blood coagulation processes. What does it do for me? It aids in protein activation, supports blood clotting, and bone health. Where can I find it? 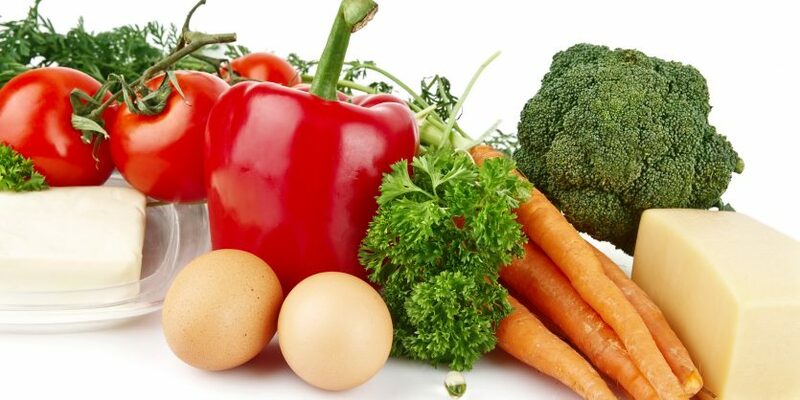 Vitamin K is found in green leafy vegetables, broccoli, blueberries, olive oil, eggs, and grapes. The K comes from koagulation, which is the German word for coagulation. That gives you a big clue about the primary role vitamin K plays in your body. This fat-soluble vitamin is key to supporting the process that helps your blood clot normally. It’s involved in the synthesis of at least five proteins that regulate coagulation activity. Vitamin K also helps create places for calcium to bind on proteins throughout your body. This is the connection between vitamin K and bone health. And it’s important in bone remodeling (the replacement of old bone tissue with new material), which is essential for the maintenance of bone health. There are three forms of vitamin K. The first (K1) is found in green plants and supplements. K2 is produced by bacteria—some of which live in your intestines. The final form (K3) is man-made and used in animal feed. The natural form—vitamin K1—has no known toxicity is associated with high doses. Since vitamin K is essential for your body’s clotting process, getting too much vitamin K from your diet can interfere with medications that may be necessary to keep your blood thin. It’s a good idea to consult your doctor before supplementing with vitamin K if you are taking blood-thinning medications. Vitamins and minerals are both essential for your health. In fact, they often work hand-in-hand. Check out the minerals guide to get the other half of the essential micronutrient picture.